BPA Cloud Backup | Business Software Solutions, Inc.
Business Plus Accounting Cloud Backup is a service provided by Business Software Solutions, Inc. This service utilizes software and services provided by Mozy. 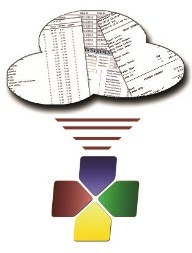 By using the BPA Cloud Backup service, you agree to the terms of service provided by the Mozy backup software. These can be found here. BPA Cloud Backup is offered as an ‘as is’ service with no implied warranty. Business Software Solutions will not be held liable for any issues that occur relating files backed up through the Mozy Pro software. Use this service at your own risk. Business Software Solutions reserves the right to modify or discontinue, temporarily or permanently, the service (or any part thereof) with or without notice. While not obligated to do so, Business Software Solutions will use commercially reasonable efforts to notify you of any such action by sending you an e-mail, an in-client message or by posting relevant information on the site. By using BPA Cloud Backup, you acknowledge and expressly consent to these terms.